You’ve found the ideal office space. Your team is on board and ready for the journey ahead. Then moving day comes, and with it, moving problems. Boxes and bodies are everywhere. People are still packing, and you’re running out of supplies. No one knows where anything goes, or how the new office should be set up. And like it or not, you are right in the middle of it. We’re sharing expertise that can help you avoid this fate. Even the biggest moving problems, the ones that lead to total chaos and added expense, can be prevented with proper planning and professional insight. Experience has shown us that these are the major problems your office is likely to face. So let’s take a look and see and how you can avoid them. When you work in a busy office, getting things done quickly is the norm. But, there’s a difference between fast-paced and rushed. Rushing is the result of taking on too much at once. In the case of moving, that means leaving too many things to the last minute. As with most projects, your ability to move quickly and produce a good result, takes thoughtful planning. Otherwise, costly mistakes can be made. Finding the right mover for your job may involve a detailed bidding process, or a more simple evaluation. Either way, give yourself enough time to compare at least two to three moving companies based on cost, experience and references. If not, you could wind up choosing disreputable movers – with damaging results. In the haste to move, focus is inevitably placed on packing the contents of one’s office, overlooking logistical necessities. Neglecting to book the elevator or gain access to the service entrance can delay the entire moving process. If you’re still packing up the office at the last minute, it’s more likely things will get misplaced. You’ll either end up transporting more to the new office than you need to because you haven’t had time to purge, or you’ll leave important things behind. Disorganized packing makes unpacking and setup in the new office unnecessarily time-consuming and confusing at best. At worst, expensive items that are improperly packed may be lost or broken. Any of these moving problems could jeopardize your timeline, which in turn costs your business – whether you’re unable to fulfill orders or book clients due to unexpected downtime, or you have to pay for additional moving trucks and storage fees. Complications related to moving computers, servers, and other IT equipment are common, but avoidable. The best way to prevent interruptions to your daily business operations due to shipping damage and improper IT systems setup is simple: Back up your data and hire professional movers who specialize in IT and office moves. Not only will professional office movers safely transport your equipment, they can disconnect, pack and reinstall it. Worry-free. The number one way to avoid this all-too-common moving problem is to put safety first. Hold a meeting before any changes take place in your office, to educate staff on company procedures. Answer questions and set safety expectations. Provide a demonstration on how to properly lift and move objects. This is especially helpful for people whose jobs don’t normally involve such physical tasks. Ensure the proper tools—like stepladders, gloves with grips, safety glasses and hard hats—are available as necessary. To prevent tripping hazards, designate specific areas for garbage, donations, and ready-to-move items so boxes and bags aren’t strewn along hallways or blocking doorways. 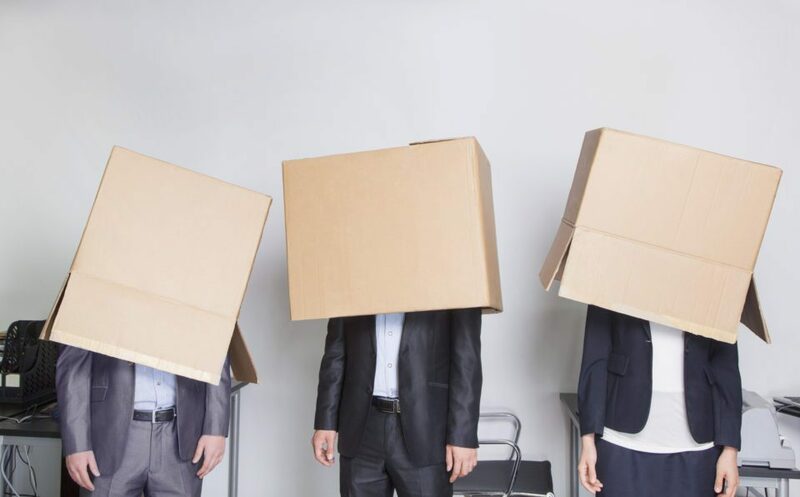 For more ways to avoid problems on moving day, check out our article: 5 Easy Ways Facility Managers Can Ensure a Successful Office Move, which originally appeared in Canadian Facility Management and Design magazine. No time to manage an office move? We can take care of it for you. Contact us to discuss your move, and we’ll send over a proposal that outlines what we do and how much it will cost.